The coast of North Holland is of great importance. From a tourism perspective, the coast is the biggest destination in the province after Amsterdam. But the competitiveness of the coast is under pressure. Internationally, the development towards an attractive environment with a strong identity is essential for a sustainable and competitive position of the metropolitan region. 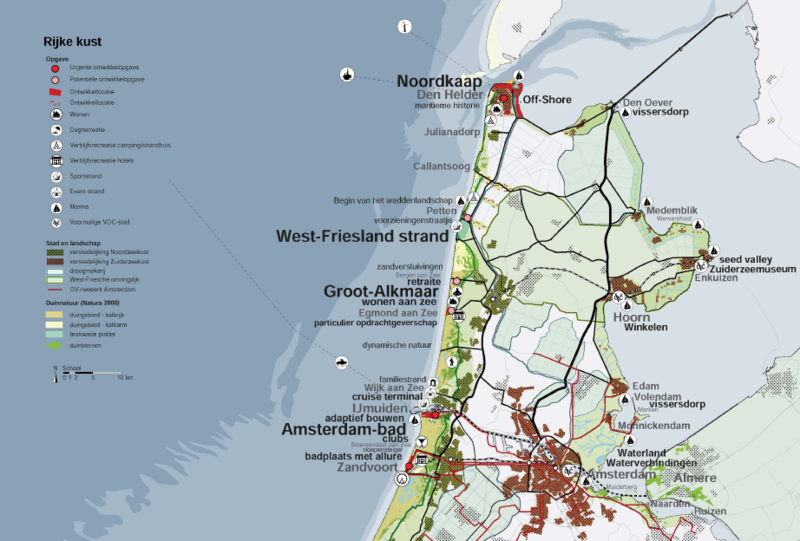 At the same time, there’s the challenge of sea level rise, which results in coastal erosion on the Dutch shore. 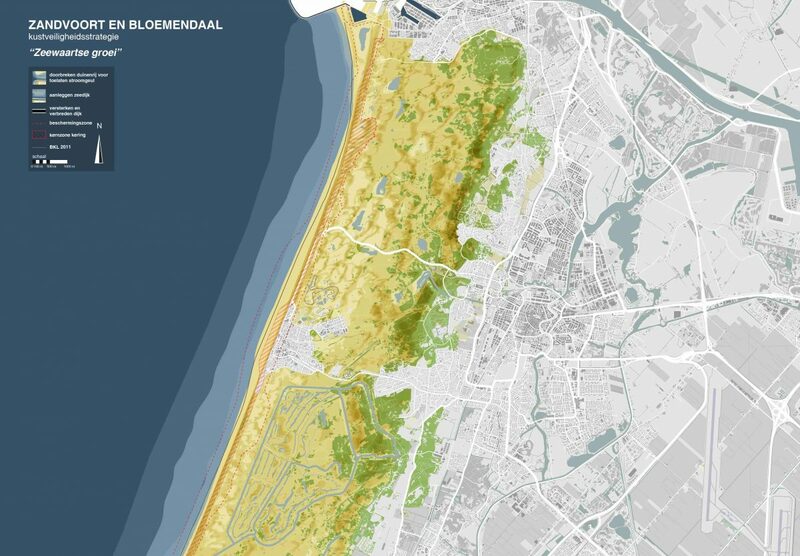 Dunes and dikes along the coast of North Holland protect the hinterland against flooding. Because of the sea level rise, land subsidence and other impacts of climate change, adjustments to the defense system are needed to meet safety norms against flooding. 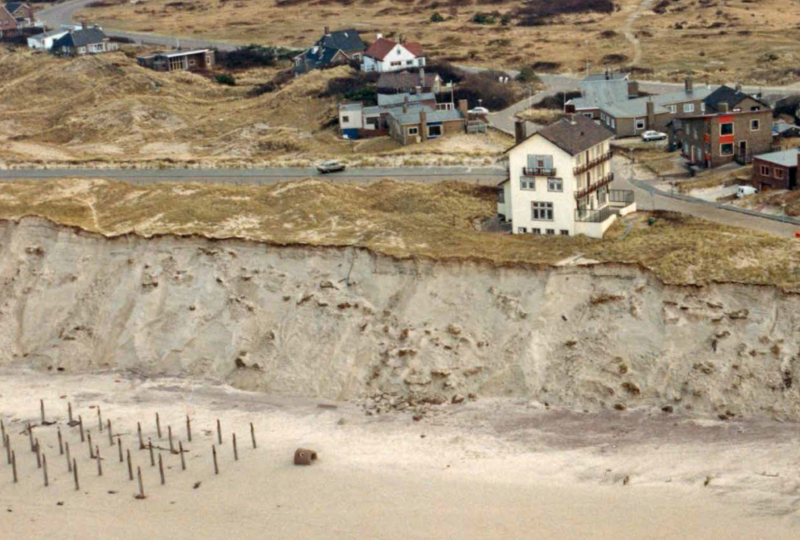 This mostly results in soft defense: sand suppletions that create a growing coastline. 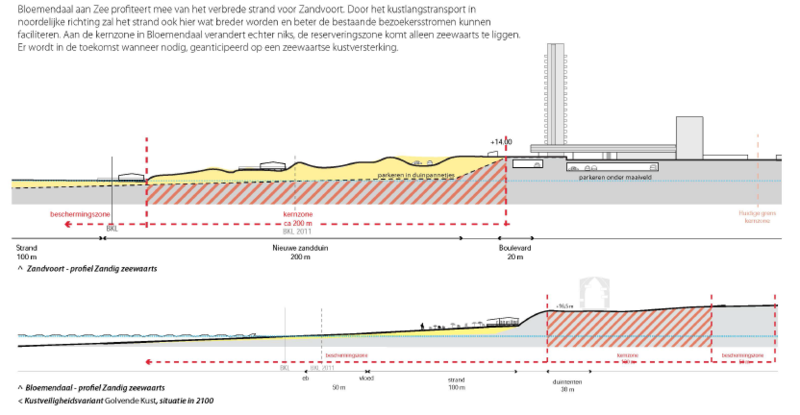 In the coastal zone, safety measures against flooding are becoming a more and more important factor in site planning. With the existence of defense measures in the surrounding area a number of restrictions on (urban) development arise. The aim of this study is to explore ways to combine the safety measures with aspirations in the fields of tourism, urban renewal and identity. To achieve this goal various strategies have been investigated which are relevant for the long term safety development. 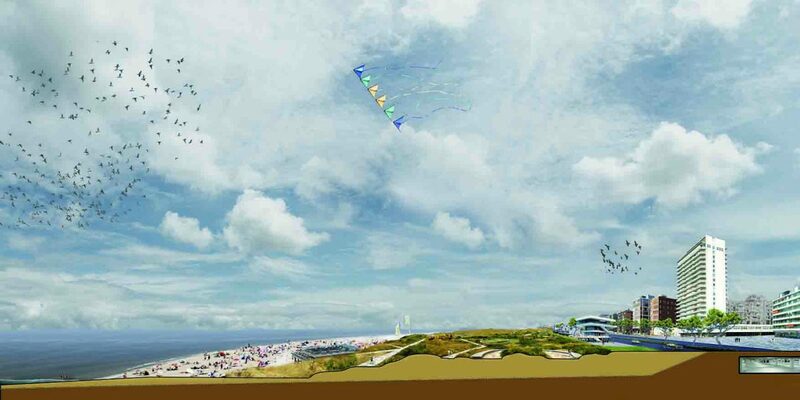 Then the study focuses on which future prospects based on spatial considerations in conjunction with safety strategies for coastal areas could be developed. 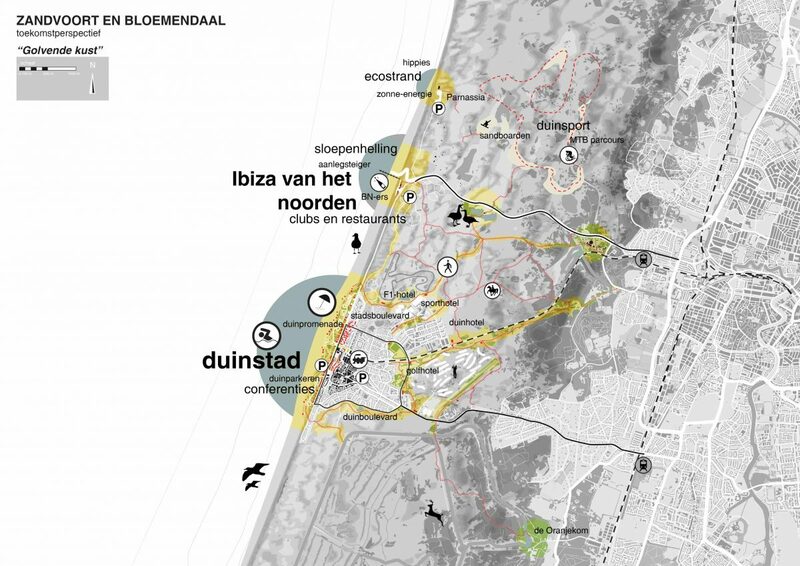 The design-based research on the combinability of security and identity is carried out in cooperation with the coastal towns. Through brainstorming and sketching sessions during the workshops, the principles of safety, spatial development and identity have been formulated.